outreach in Gwagwalada Area Council of the Federal Capital Territory, Abuja. The NGOs on Monday said they would screen and treat people of various ailments as well as distribute 500 sanitary pads to women of reproductive age at Dobi community. 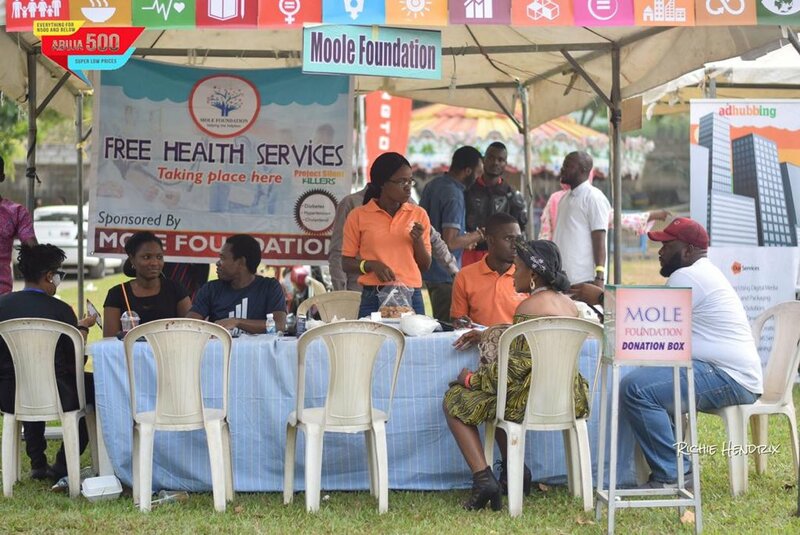 They said the free routine screening would be for malaria, hypertension and diabetes, while free drugs would be given to those who test positive to malaria and hypertension. Project Head of the medical outreach organised by both foundations, Dr Ipinera Yomi, the expressed concern over the prevalent cases of hypertension and malaria in rural areas and called on government to improve healthcare services in those areas. healthcare services closer to the people. The health expert tasked government to do more in healthcare delivery in the rural areas, as most rural areas visited recently lacked access to quality health services. Dr Yomi appealed to government at all levels to deploy health practitioners to rural areas or partner with health NGOs to bring quality health services to the people. “In the course of the screening, we recorded high numbers of hypertension and malaria cases in this community, this prevalent cases in this rural community is due to lack of access to proper healthcare. “Recently, in the course of our health outreach to different rural areas, we recorded several cases of hypertension, diabetes and even malaria; this community is not exempted, they don’t have a doctor in their health centre. “Dobi community lack access to proper healthcare, they have a health centre without doctors, if government can provide doctors for them, it will go a long way to alleviate their sufferings,” he said. menstruation among women of reproductive age to prevent infections. According to him, some women in the rural areas do share rags and torn towels during menstruation due to ignorance, adding that the practice has implication of transmitting infections. They called for sustenance of the programme and urged other organisations to emulate the gesture.